Number of reviews: 29 customers reviewed this product. Recommended: 28 out of 29 said they would recommend this product to a friend. Great product! 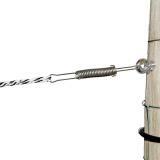 I can run 1320 ft of 4.5 Intellirope and 1 Rachet and stays plenty tensioned if manually pull the tension before using the rachet. At first I thought there was too much sag but I dint have my step in line post in. Once those were put in every 20 ft there is virtually no slack! 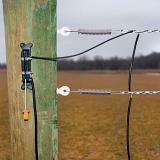 Very easy to attach and if needed simple to remove the long ulinks to install thru an insulator eye if need to. 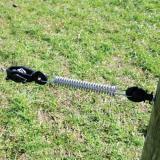 These p-springs are just the thing to keep any rope fence tight. My longest run is 550' of Endurasoft and they have held up for 20+ years, even with ropes pulled down by tree damage from tornado. 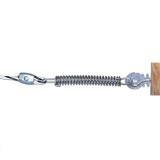 I have also used with other types of electric wire/tape when necessary with great success. 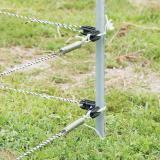 Would not be without these to keep my fences tight! 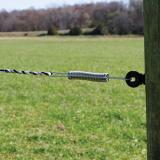 What cool way to keep your polywire tight! These work great! 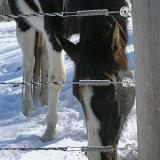 They work great with the horse rope. 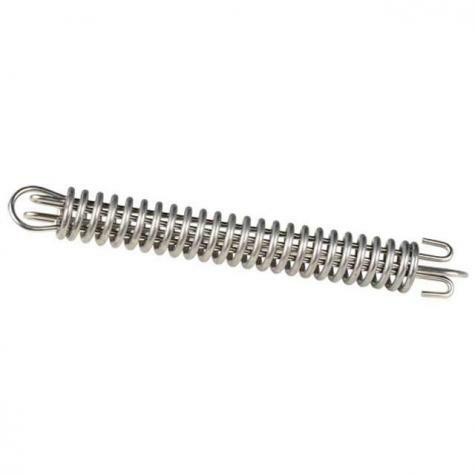 I recomend a spring at the start and end of the rope. 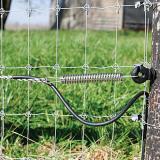 I love these springs, makes putting up a fence so much easier.